The top opera houses around the world are not only known for staging world class performances but also for their impressive architectural designs. Most of opera houses in the world houses more than thousands of seats. They host operas, ballets and other outstanding art forms. 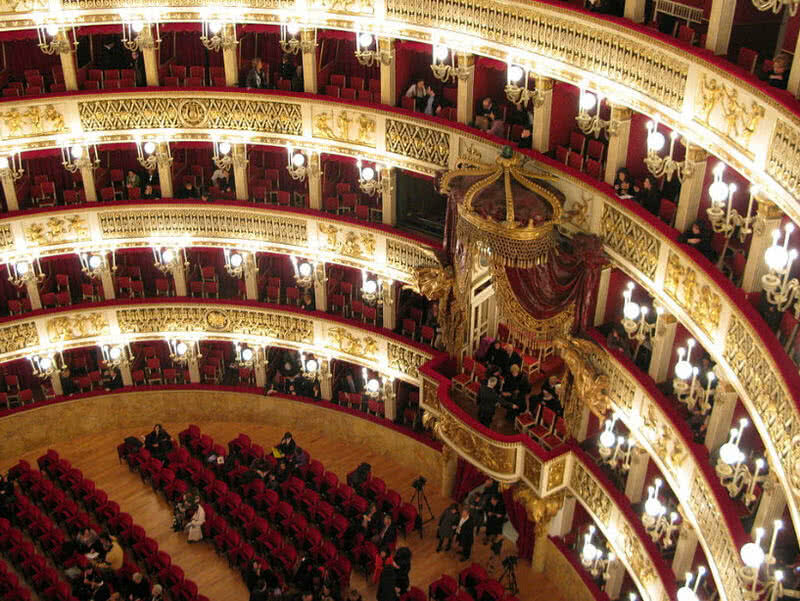 Followings are 9 amazing opera houses in the world. 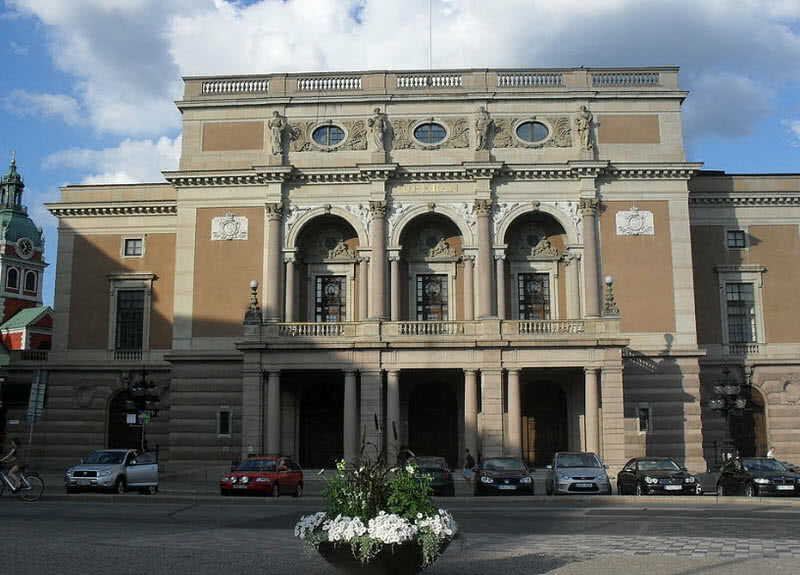 The royal opera house in Stockholm city is the most popular opera house in Sweden. The opera house is used for staging both operas and ballets. The original opera house in Stockholm city was commissioned by King Gustav III in 1775. It was designed by Swedish architect Carl Fredrick Adelcrantz. It took seven years for it’s construction and was opened in 1982. The opera house had a oval shaped four tiered auditorium with magnificent acoustic. It was also topped by royal crown. ‘Thetis and Phelee’ was Gustavian opera’s first performance by Swedish opera singer Carl Stenborg and Elizabeth Olin, first ever native speaking opera in the country. Unfortunately King Gustav III was assassinated in the same opera in 1792. The opera was closed for many years and demolished in 1892. The construction of present opera was started in the same year by Swedish architect Axel Anderberg and was opened in 1899. The building has magnificent golden foyer and three-tired auditorium with 1200 seats. The front facade of the operas decorated with many columns, arches and statues. There is also a marble staircase leading to the auditorium of opera. Teatro alla scala is a globally popular opera in Milan of Italy. Most popular operatic artists around the world have appeared in this opera house for more than 200 years. The opera house opens for performances on every 7th of December. The La Scala theater museum in the opera house contains huge collectiion of paintings, drawings and other documents that explain about the history of the opera. There is also a academy for training young artists. La scala opera was inaugurated in 1778 and it was known as new royal-ducal theater alla scala at that time. The opera had more than 3000 seats in six tired boxes. There were separate galleries for rich and poor people for watching different performances. The opera was heavily damaged during second word war and was rebuilt in 1946. Major renovation works for opera also underwent from 2002 to 2004. Teatro La Fenice is one of most renowned operas in Europe located in Venice city in Italy. It has been staging popular operatic performances for years. 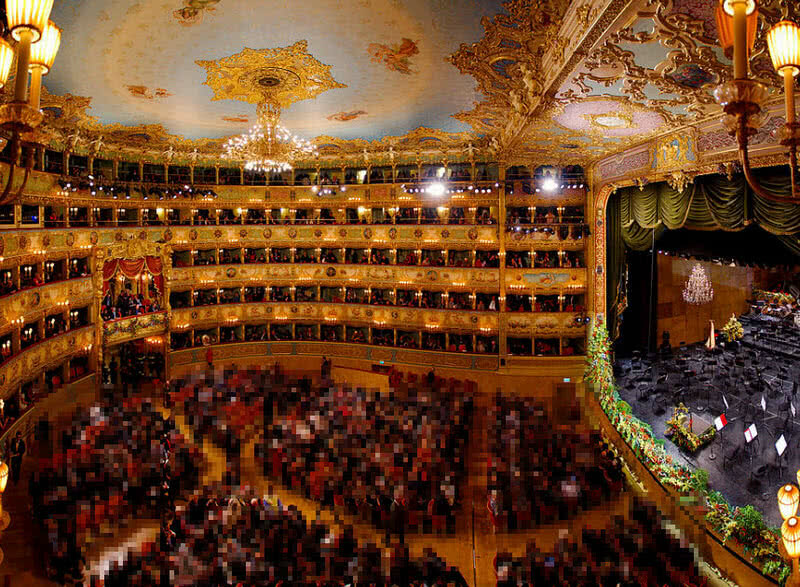 La fenice opera also staging a new year concert every year since 2004. The original opera house was opened in the year 1774. It was known as San Benedetto Theatre. It remained as top opera house in Venice for more than forty years and burned to ground. Six years later the second opera theater was built by Italian architect Giannantonio. It was known as Phoenix, named after the mythical bird that rose from ashes. The Phoenix theater housed many operatic performances for few decades in 19th century. The theater was again destroyed by the fire in 1836. But it was rebuilt within one year. Many of 20th century’s best artists hosted their works in Phoenix theater. But it was gain destroyed in 1996. The construction of present theater was took place between 2001 and 2003. It has a 19th century architectural style. The first opera performance (La Triviata) hosted in La Fenice opera in 2004. 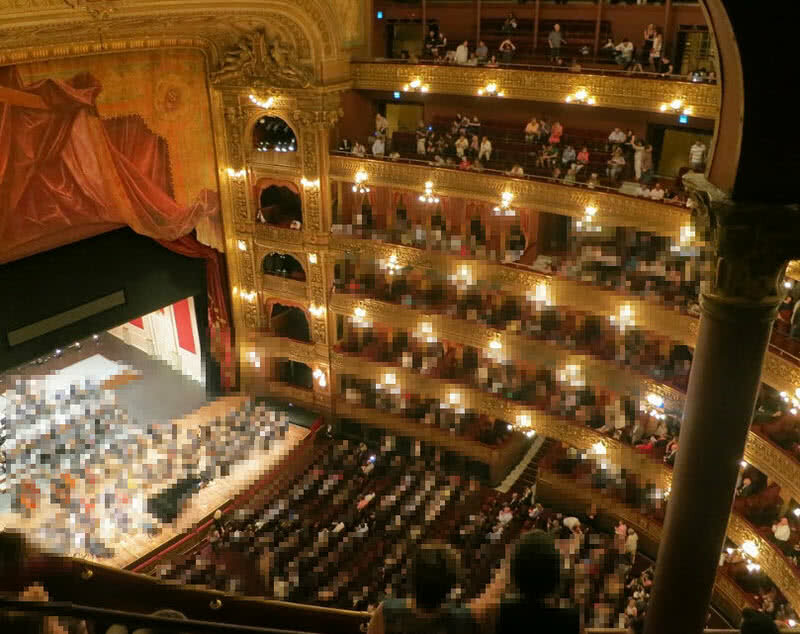 Tetro colon is one of main opera houses and a historical monument in Buenios Aires city of Argentina. The present tetro colon opera was replaced original opera in 1857. It was inaugurated in 1908 after years of process. Today it is one of the best concert venues in the world regarding it’s acoustic. The auditorium has a elongated horseshoe like structure and it can seat 2500 people. The ceiling of the auditorium is decorated with beautiful painting from popular Argentine painter Raul Soldi. It represent the characters from a popular collaborate art form known ‘Commedia dell’arte’. The tetro colon opera is a seven storey building decorated with marbles, stained glass and statues. The columns of the opera are made from reddish verona marbles. 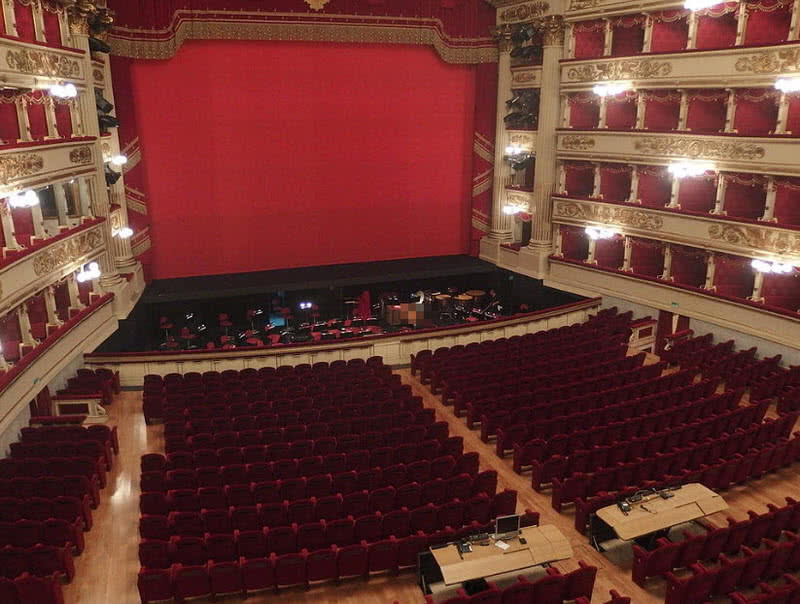 The tero di san carlo in Naples of Italy is the oldest continuously active opera in the world. The opera was inaugurated in 1737 by king Charles. It opens for popular operas from January to May, also features outstanding ballets. The auditorium of tero di san carlo have a seating capacity of 3300 people at a time. The opera is also admired for it’s great architecture and golden decorations. ‘Achile in Sciro’ by popular Italian composer Domanico Sarro was the first ever opera premiered in tetro di san carlo. The opera was also renovated several times in different centuries. Bolshoi theater is a historical theatre located in Moscow city of Russia. It is the second largest opera house in Europe. It is globally popular for staging all kind of theatre performances. 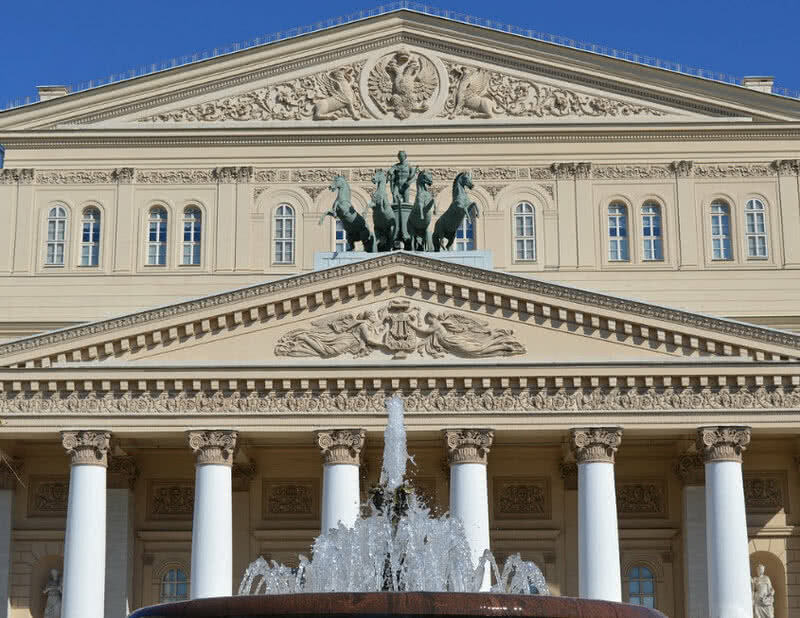 The theatre mainly presents operas and ballets from Bolshoi opera and Bolshoi ballet companies, world’s oldest opera and ballet companies. The theatre was originally founded in 1776 by prince Pyotr Vasily Evich Erusov and English theatre manager Michael Maddox. New imperial theatre replace it in 1808. But it was destroyed during French invasion in 1812. The construction of present theatre was held between 1821 and 1824 and it was inaugurated in 1825. The theatre also renovated several in following centuries. Palais garnier opera is also known as Paris opera located in Paris city of France. The opera house have been staging ballets and operas since 1875. The construction of the opera started in 1861 and took long 14 years for it’s completion. 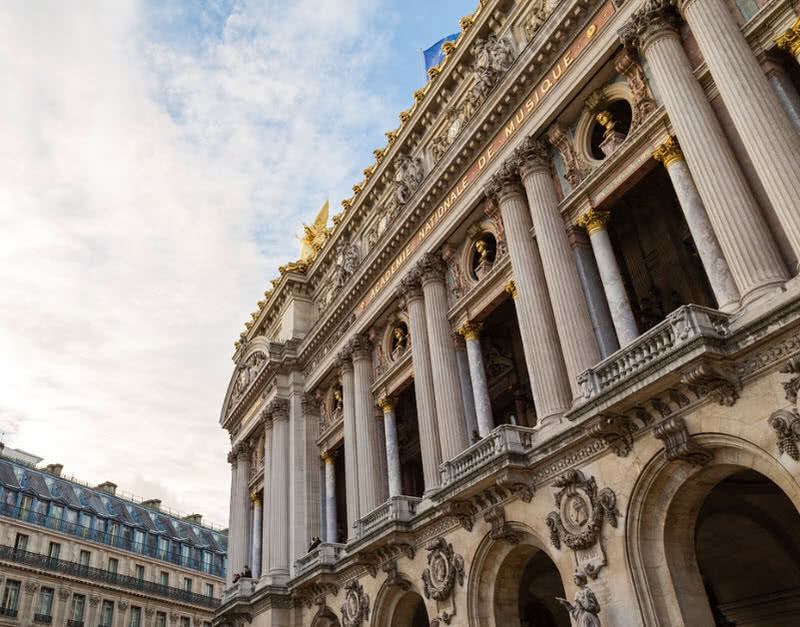 The building reflect a fusion of baroque revivl architecture, beaux-arts architecture and second empire architecture. The opera was decorated with multi-colored marbles, columns and statues of Greek Gods. The opera has a horse-shoe shaped auditorium, can seat more than 2000 audience. The stage of Paris opera is large enough to hold 450 performers at a time. The ceiling of the Paris opera depicts scenes from operas by 14 popular artists around the world. The grand staircase of Paris opera decorated with multi-colored marbles and it lead to grand foyer of the opera. The grand foyer of the opera act as a drawing room for Paris society, a highly decorated 154 meter long 13 meter wide room. The beautiful paintings in the ceiling of grand foyer depict most important moments in the history of music. The museum in the library also contains the drawings, paintings and other records that tell the history of Paris opera. 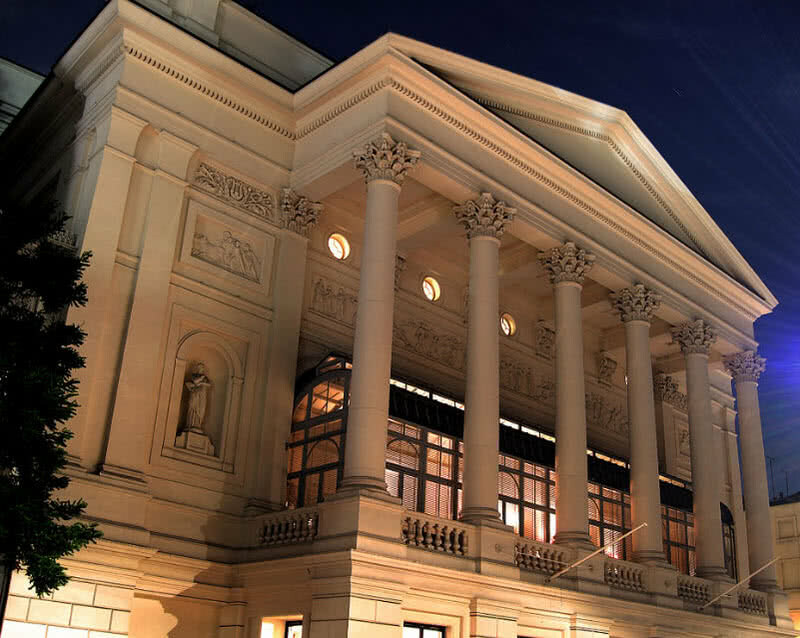 The royal opera house is the most popular opera house in England, situated at covert hall in London. The original theatre was opened in 1732. Unfortunately it was destroyed by fire twice respectively in 1805 and in 1856. The present theatre was opened in 1858. It can house 2300 people and it’s auditorium is grade 1 listed by theatres trust advisory board of United Kingdom. Today the opera house features outstanding opera performances from popular opera composers like Harrison Birtwistle, Mark Anthony Turnage and Thomas Andes. Apart from operas and ballets the royal opera house also hosts umber of other prestigious events including film awards functions. Sydney opera house is the most popular landmark of Australia and one of most popular multi-venue performing art centers in the world. It is considered as the icon of architectural achievement of Australia. UNESCO recohnized this site as a world heritage site and every year the opera house hosting over 3000 events. The outstanding performances in Sydney opera house attract more than 2 million people every year. The opera house consist of 1000 rooms in total and has seating capacity of 5700. The construction of Sydney opera house was started in 1957. It took 16 long years for it’s completion. It was designed by Danish architect Jorn Utzon. It was officially opened on 20th October 1973. The building is globally popular for it’s soaring white roof shell shaped sails. Specifically designed cranes from France were used for it’s construction. 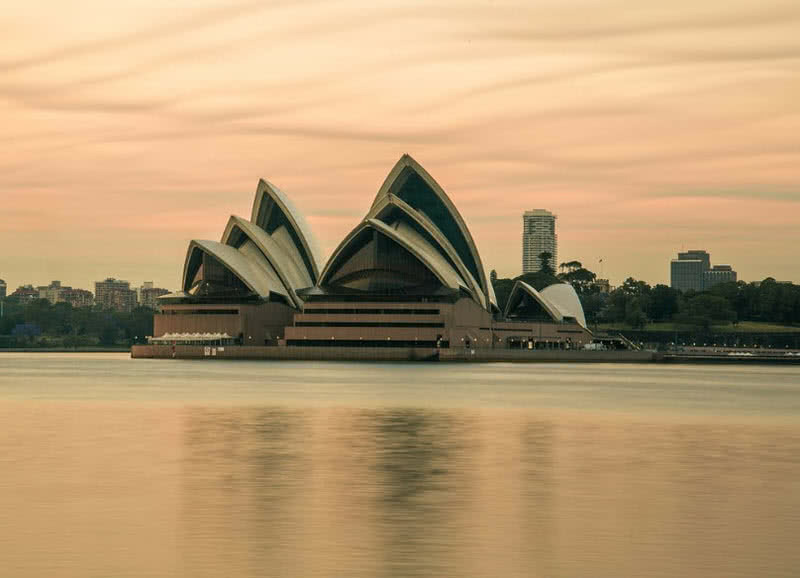 It can be experienced from all sides of the Sydney harbor. The concert hall of Sydney opera house can seat 2700 people at a time.It also contains world’s largest mechanical tracker action organ which is called as Sydney opera house grand organ. Other notable section within the opera house is Joan Sutherland theatre dedicated for opera Australia and the Australian ballet. The building also houses recording studios, cafes, restaurants and other retail stores.